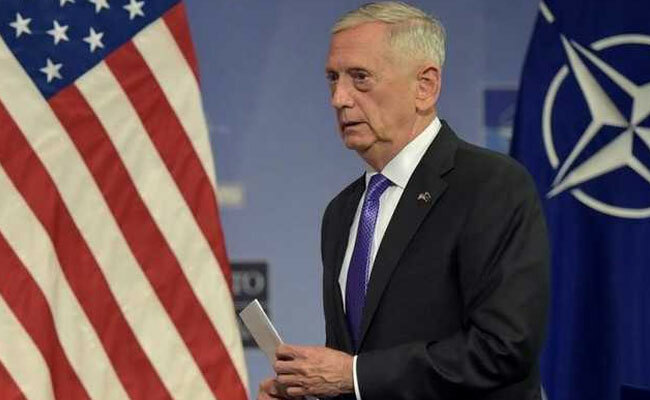 NEW YORK: US defence secretary Jim Mattis will visit India and hold talks with Prime Minister Narendra Modi and his Indian counterpart Nirmala Sitharaman to reaffirm that Washington considers New Delhi a valued and influential ally. This is the first cabinet-level official’s visit to India under the Trump administration. “The secretary will emphasise that the United States views India as a valued and influential partner, with broad mutual interests extending well beyond South Asia,” the Pentagon said in a statement on Friday. During his two-day visit starting from September 26, the Pentagon chief will participate in a wreath-laying ceremony at the India Gate, and meet the Prime Minister and Sitharaman in New Delhi. “The secretary will also express US’ appreciation for India’s important contributions toward Afghanistan’s democracy, stability, prosperity, and security,” the Pentagon said. Mattis’ visit to India comes after secretary of state Rex Tillerson, held a bilateral meeting with external affairs minister Sushma Swaraj on the sidelines of the annual UN General Assembly meeting here. During the meeting, the two leaders among other issues discussed Pakistan, Afghanistan and terrorism. They also discussed the strategic relationship between Washington and New Delhi. Modi and President Donald Trump had announced a two plus two strategic and defence dialogue between the two countries at the White House in June after the India-US summit. Be the first to comment on "US defence secretary Jim Mattis to visit India, meet PM Modi next week"